Everyone, at some point in his or her life, has dreamed of being somebody special, somebody big. Who hasn’t fantasised about being the one who scores the winning goal? Who hasn’t dreamed of being a beautiful princess? And how many times have we dreamed of being rich, or successful, or happy with our relationships? This is a sad turn of events in our life. Instead of experiencing exciting adventures, we get caught up in the humdrum of living from day-to-day just barely existing. The most common problem to setting goals is the word impossible. Most people get hung up thinking I can’t do this. It’s too hard. It’s impossible. No one can do this. Remember that scientists were baffled when they took a look at the humble bumblebee. Theoretically, they said, it was impossible for the bumblebee to fly. Fortunately for the bumblebee, no one has told it so. So fly it does. On the other hand, some people suffer from dreaming totally outrageous dreams and not acting on them. The result? Broken dreams, tattered aspirations, and a lifetime of regret. If you limit yourself with self-doubt, and self-limiting assumptions, you will never be able to break past what you believe is impossible. As you work through this process, you will find out that the goals you thought were impossible become easier to accomplish. 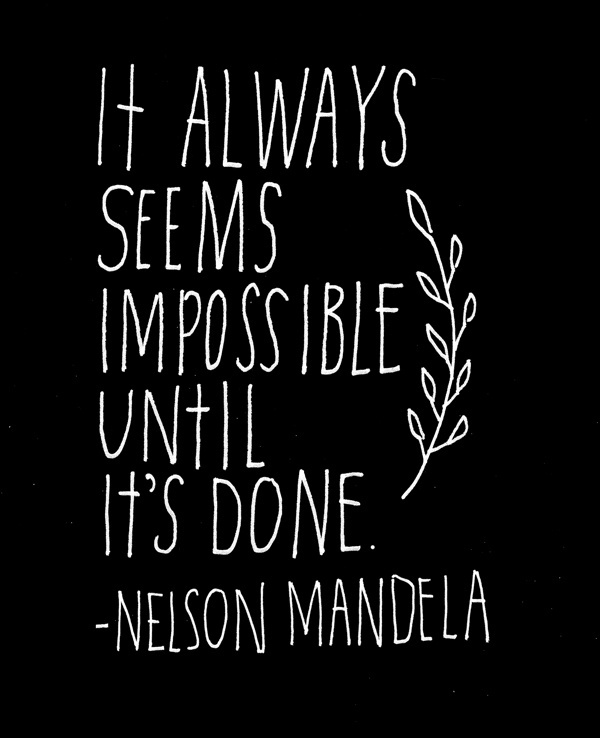 And the impossible begin to seem possible after all. On the other hand, if you had told someone a hundred years ago that it was possible for man to be on the moon, they would have laughed at you. If you had told them that you could send mail from here to the other side of the world in a few seconds, they would say you were out of your mind. But, through sheer desire and perseverance, these impossible dreams are now realities. Thomas Edison once said that genius is 1% inspiration and 99% perspiration. Nothing could be truer. For one to accomplish his or her dreams, there has to be hard work and discipline. But take note that that 1% has to be a think-big dream, and not some easily accomplished one. This entry was posted in Attitude, Life Coaching, Life Improving, Positive Thinking and tagged advice, challenge, determination, Dream, Dream Big, empower, overcoming adversity, perseverance, personal power, positive attitude, self improvement. Bookmark the permalink. This is a great post. The list and concept of breaking things down is dead on. I have several lists – long term, mid-term and short term. Also love the A.H. quote. Sometimes obstacles look too big, until you break them down to bite-size chunks and chew on them a bit at a time. Thank you for the related article mention! Great article! This is a VERY valid point here! Unless you believe something can be done, you will NEVER get it! This is the thing with goals- if you ask for a quarter, or you ask for a million dollars, it IS possible, if you believe it! 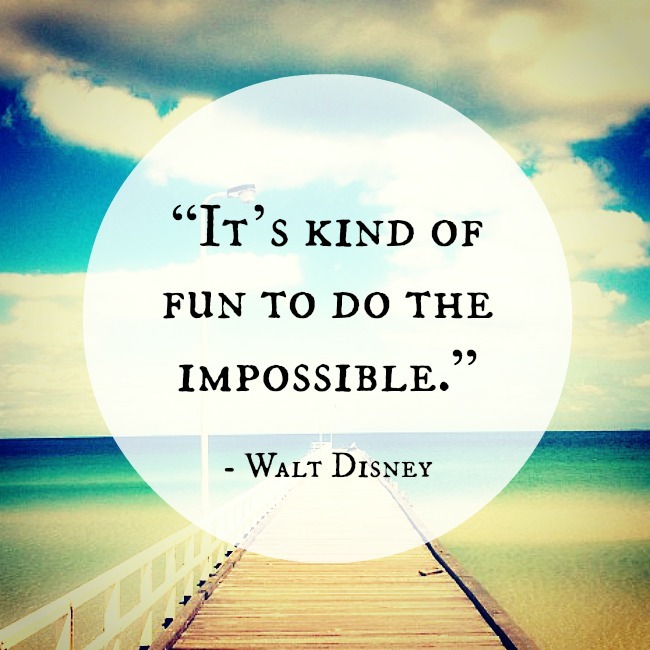 You may not have a clue how to get it, but it IS possible to make ANYTHING happen in your life! It is a matter of INTENTION and deciding that you will MAKE it happen! Anything that you BELIEVE you can get, you can! If you ask for a quarter, or you ask for a million dollars, either way you can get it. You may not know how, but if you truly believe it and have faith and determination, you can get anything in your life that you want!